The Inter-Regional Center for Curriculum and Materials Development (IRC). Membership since 1964. AdvancED is the unified organization of the North Central Association Commission on Accreditation and School Improvement (NCA CASI) and the Southern Association of Colleges and Schools Council on Accreditation and School Improvement (SACS CASI). AdvancED is dedicated to advancing excellence in education worldwide through accreditation, research, and professional services. AdvancED creates the world's largest education community, across the United States and in 65 countries worldwide, educating 15 million students. Less than 150 schools in all of Latin America and the Caribbean have this accreditation which allows JFK graduates to receive a U.S. Diploma for their studies. Our American Certification obtained through AdvancED helps us maintain high standards with yearly reports of school progress that are combined with a special “in depth” study standards, every five years. 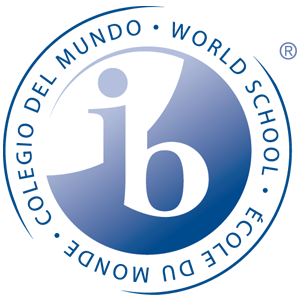 Mission Statement from the IB The International Baccalaureate aims to develop inquiring, knowledgeable and caring young people who help to create a better and more peaceful world through intercultural understanding and respect. To this end, the organization works with schools, governments, and international organizations to develop challenging programmes of international education and rigorous assessment. These programmes encourage students across the world to become active, compassionate and lifelong learners who understand that other people, with their differences, can also be right. The John F. Kennedy School is accredited by the Ministry of Education (SEP). The main purpose of this organization is to create the ideal conditions that allow a quality education for Mexican citizens. • MÉXICO Secretaría de Educación Pública (SEP). All students receive a Mexican National Diploma upon graduation.